If an attractive website with the best ecommerce features were what you were looking for, OpenCart might be the best choice for your store’s website. This open-source PHP based software not only is cost-effective, but comes with benefits like simplicity of use, multiple payment gateways, free support and software updates. 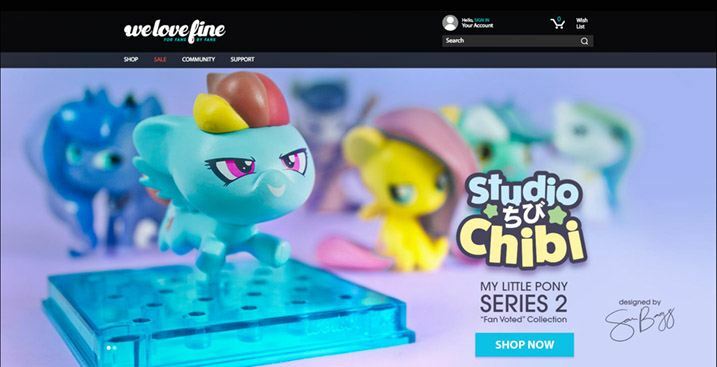 Known for its custom-designed clothing and accessories, WeLoveFine is a popular web store with a custom theme. Branded as “For Fans, By Fans”, WeLoveFine includes designs inspired by characters adulated by fans like Marvel Comics, Star Wars, Transformers, My Little Pony and a lot more. You can see how this particular OpenCart theme displays a wide collection of hoodies, sleepwear for both men and women. The accessories section displays key rings, soft toys, bags and miscellaneous items in a manner that encourages people to purchase. Ubiquitous black background is great for exuding a premium look and feel. Cat and the Fiddle is a great cake shop that displays delicious-looking desserts in a neat and clean manner. This OpenCart website is particularly attractive because there are no added distractions, checkout process is simple and communicates delivery times even before you order. To sell perishable items online is always a tricky business as one needs to keep track of how quickly the eatables are delivered. 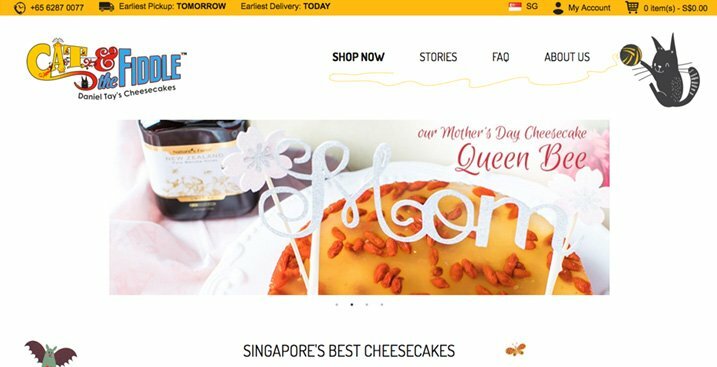 Cat and the Fiddle claims to be Singapore’s best cake shop online and we can see why that claim holds up well. Posters made from wood are a new rage these days as one can communicate their pop-culture preferences to everyone around them, in an aesthetically pleasing manner. Gone are the days when you had to roll up those posters against walls, and slowly watch them wither away. 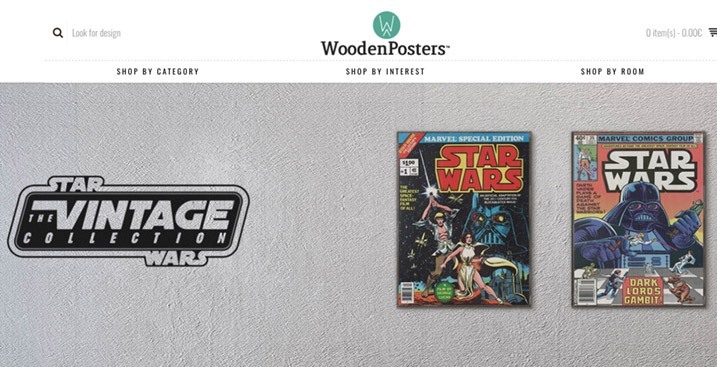 Wooden Posters brings durable posters made from wood, and these are sold online on a Shopify website that is great to look at, easy-to-use and quite minimalistic. This OpenCart website particularly stands out because it communicates the essence of the merchandise: simplicity, timelessness, aesthetic nature, and neatness. It is a well known fact that people still like to wear printed t-shirts and they will never go out of fashion. 6 Dollar Shirts makes printing and buying t-shirts easier for everyone. They start with bringing you a great OpenCart website that is easy to use, browse, and make orders on. T-shirt designs are meticulously displayed, checkout process is easy, and it is easy to seek customer care if required. The slider at the top of the website only adds to the glamour of the website. 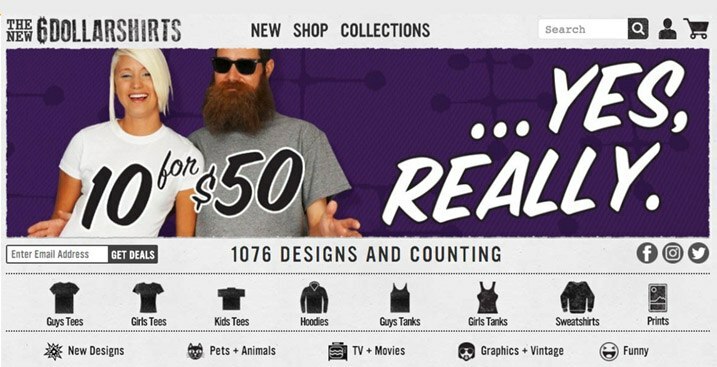 If you are looking for a website to sell your clothes or casual wear, you can find inspiration from this website. There are times when a store doesn’t have a lot of products to display because it is mostly a niche area. These kind of stores usually cater to a specialized audience and there are usually just a handful pf products or services to display. In such a case, the website should be minimalist but not empty. 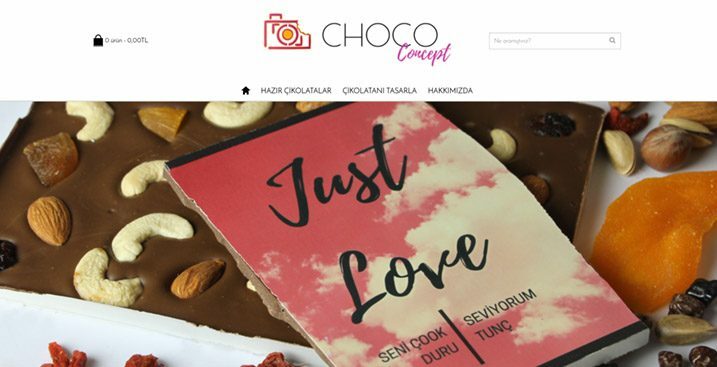 Choco Concept is a great minimalist and simple OpenCart website that displays a limited number of products in an easy-to-view manner. It is attractive, and the website looks like it is quite busy, even when there aren’t too many things to display. The checkout process is simple too, and customer service is available on the website. When you have too many things to sell, especially when you are a wholesale dealer, a website such as Whole Sale Box comes to handy use. You can easily browse through a number of products and though therefore far too many, this OpenCart website ensures that it doesn’t look all cluttered or heavy. There is a simple slider on top of the webpage, and new arrivals are listed in a clean and neat manner. You can change the language, speak to the customer care, or supply browse around to choose what you want, based on a number of categories. This particular website is an example of the power of OpenCart platform. 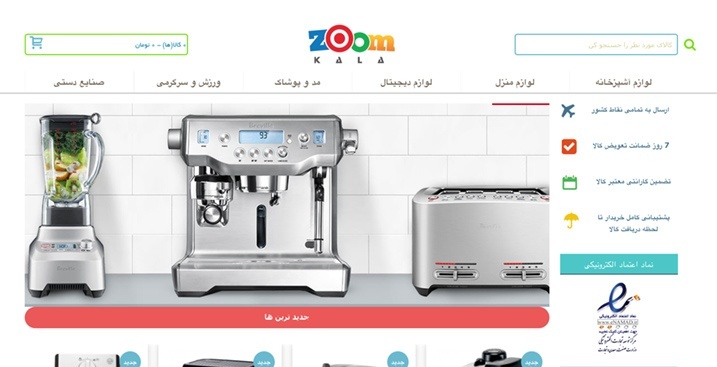 Zoomkala is an Iran-based online store that offers huge assortment of products including digital accessories, kitchen appliances, household items, handicrafts, fashion and apparel. This Opencart store is designed in journal2 theme and has a simple look with a white background. A number of eminent brands like Samsung, Panasonic, Philips, Asus and the like are associated with the Persian e-store. This is a great example of a heavy OpenCart web store. 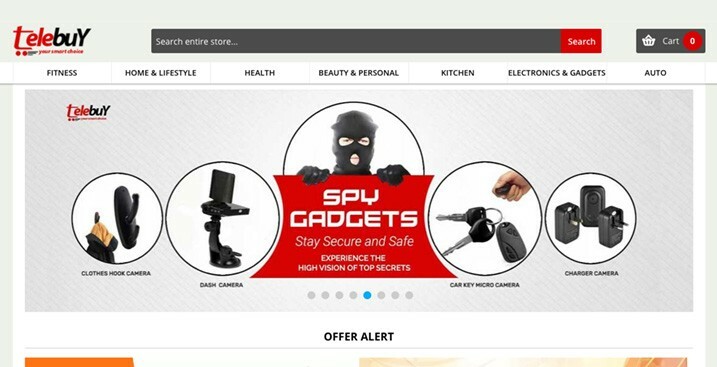 Telebuy is an e-store based in India, offering a range of products including fitness equipments, home & lifestyle, health, beauty & personal, kitchen, electronics & gadgets and automobile accessories. It is quite easy to order products from the store. Telebuy uses a custom OpenCart theme that offers them flexibility of design. 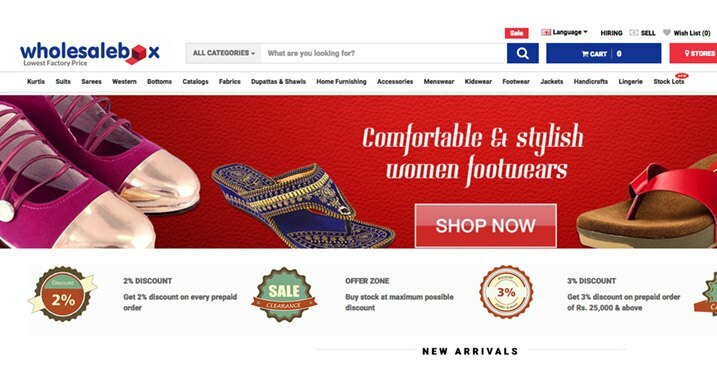 Use of white background with red tabs gives an exciting look to the store. If you are looking for a more accessible look and feel, this one is a great example. ProThemes sell an entirely different set of services like PHP scripts, billing themes, SEO analyzer tool, Addons for AtoZ SEO tools, Windows applications, hosting and domain management etc. It uses a popular OpenCart theme called Shoppica2. The store uses a white background with a mix of pink and blue tabs. The products and services listed clearly rise above each other. There probably couldn’t be a better B2B OpenCart store out there. Jay Osbie is a store frequented by classy Nigerian men. 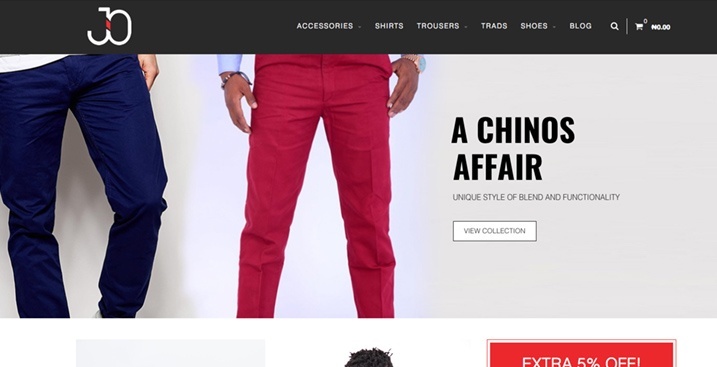 With its chinos and shorts, shirts and shoes, and popular African designs, the e-store offers an enriching experience for customers. The assortment includes formal, casual and ethnic wear with style at par with the likes of Nigerian men. Jay Osbie uses CosyOne OpenCart theme matching the modernity and elegance of its products. This should interest all of you who are planning to sell premium fashion online. Who said OpenCart can’t bring a touch of elegance and class to your website? SvapoStore is an Italian ecommerce platform that sells electronic cigarettes, cartridges and refills. Svapo Store also sells its products through physical stores. 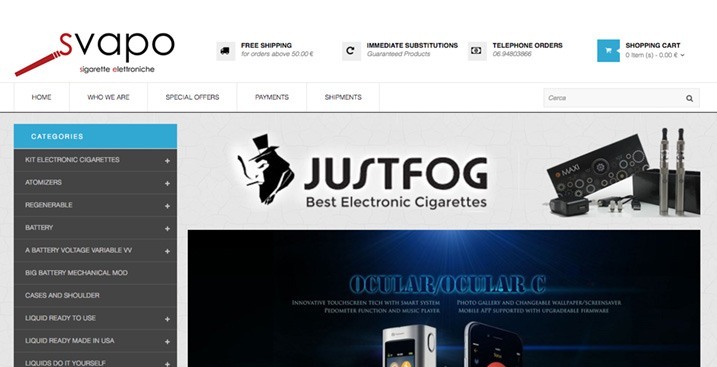 Surely a delight for smokers, this popular e-store also offers a huge variety of aromatic products. The store has a huge collection of e-cigars and containers. It uses a white background with grayish-black tabs and font. The website uses Lexus NextStore OpenCart theme and is a great example for a web store that sells niche and specialized products. 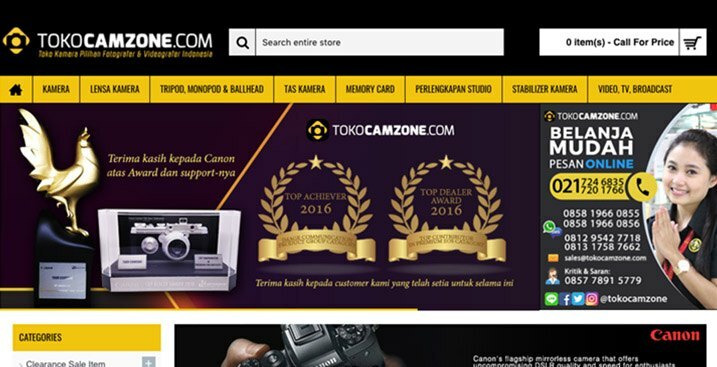 TokoCamZone store is a popular e-store based in Indonesia that sells cameras and accessories. Accessories include lenses, tripod, monopod, camera bags, memory card, studio equipments, camera stabilizers etc. The web store has a huge catalogue and is designed in journal2 theme. It uses a white background with a combination of black and yellow tabs. Again, this is a good example of using OpenCart to set-up product-heavy websites. Brandshop’s OpenCart custom theme displays footwear, clothing and accessories for a Russian audience. The store has products for men, women, babies offered by a number of brands. It also offers beauty products along with accessories like gifts, gadgets, sweets and backpacks. The product catalogue is well-structured and elaborately illustrated. The store is easy to navigate and quick to search with a smooth ordering process. 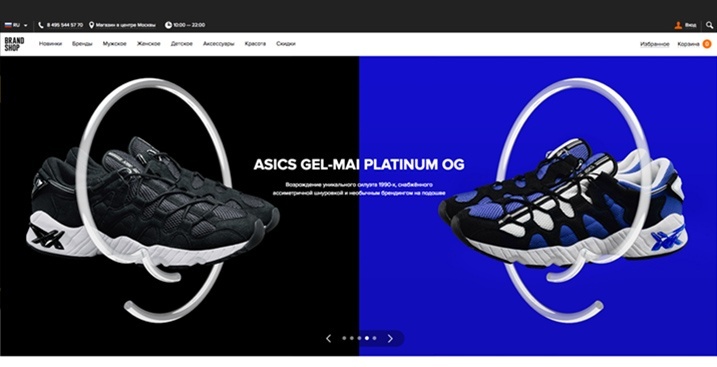 Unrelated products can be difficult to sell on a single website, but this theme shows that it is quite easy to do so on OpenCart. 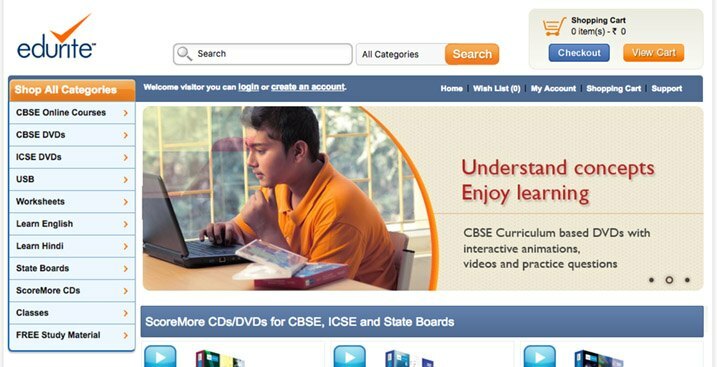 Edurite is an Indian ecommerce website that sells CDs/DVDs containing educational content for school students. It offers interactive material and makes learning fun. It follows a cognitive learning approach and enables students to understand complex concepts easily. It also offers a special package for English Grammar. The website uses a custom OpenCart theme whose web interface is interactive and clearly displays content available for sale. Startups and stores that sell infotainment products and educational service may seek inspiration from this webstore. RoseRoseShop is about everything but flowers. 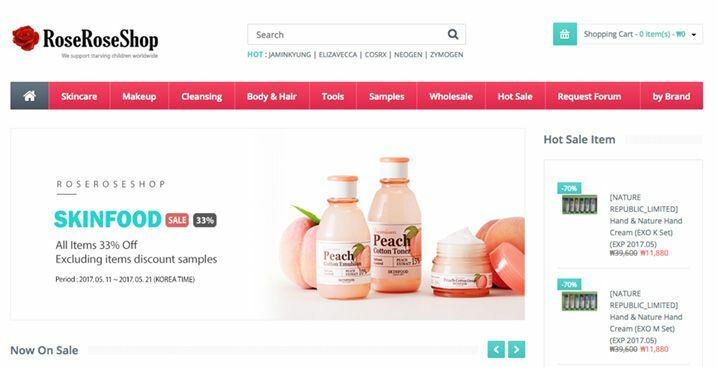 It is South Korean e-store that sells cosmetic products. It offers skincare, makeup, cleansing, body & hair, and various grooming tools. An exhaustive list of brands is classified alphabetically on the website so that consumers can choose their favorite brand with ease. This online store is based on Vitalia OpenCart theme that gives it a subtle look apt for cosmetic products. Combination of red and white colors with predominant white background appears pleasing to the eyes. If you are into lifestyle products and services, this is a great OpenCart website to find inspiration in. There is no dearth of OpenCart themes available today and every web site owner is free to choose the theme of his/her choice. If suitable theme is not available, then they can opt for a custom theme. The only word of caution is that the web store should look attractive, must have a great UX/UI, and entice consumers to buy products. Photography, colors, fonts, navigation, payment gateways and checkout process are some of the essential factors that you must keep in mind before choosing an OpenCart theme. Increase your productivity and efficiency by connecting your Opencart store with other business applications. APPSeCONNECT is a smart integration platform which helps your apps talk to each other. Check out the Opencart integrations available! How to Upgrade OpenCart Store from 1.5.x to 2.3.x in 3 Easy Steps!